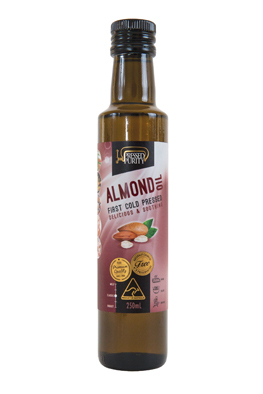 Almond oil makes a precious gourmet salad dressing and can be used for pan frying. Used widely for massage and moisturizing skin care. 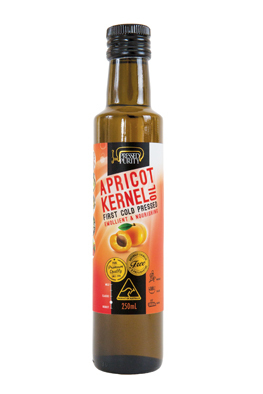 Apricot Kernel Oil adds great flavour to speciality sauces. Suitable as a smooth massage oil and is well known for its’ many unique nutritional benefits. Avocado Oil offers deep colour and rich flavour to salads and vinaigrettes. Boasting natural vitamin A, B & D, this oil has many culinary uses. 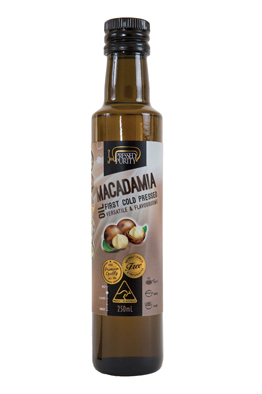 Macadamia Oil is a favourite all purpose cooking oil. Delicate nutty flavour makes this oil great for pan frying and drizzling over salads and fresh cooked vegetables. Peanut Oil has that famous nutty taste favoured for Asian style cooking. High heat tolerance makes this a versatile cooking oil. Sesame Oil is a natural choice for stir fry’s and Asian style high heat cooking. This untoasted oil has a delightful nutty flavour. Walnut Oil is a much sought after rarity. 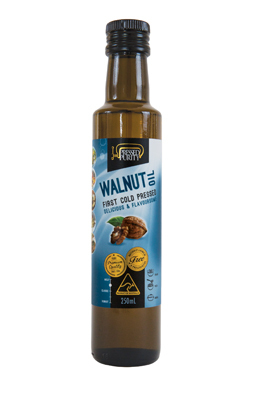 As a dressing oil, the delicate walnut flavours and healthy omega 3 adds a touch of class to any dish.